“[T]here have been – there are still – times when I don’t feel convinced he can be trusted for another tuft [of grass – referring to the idea that the Lord is our shepherd] or for what seems like the right one….I had all but stopped asking God for things, even small things that had a chance of being important to me. I assumed he would rather teach me another hard lesson than disk me up some asked-for happiness or relief. I had become afraid to pray my most weighty and meaningful requests, out of ear that God might deny them instantly, for sport. “Here [is Peter], a man who only days earlier had with confidence and maybe cockiness put stock in his own ability to follow Jesus boldly. “Even if everyone else deserts you, I will never.” There were perhaps, valid reasons for Peter to believe he could pull that off – he had already given up his career and left his family to follow Christ around the countryside for who knows how long – probably years. He had once gone out on a limb and had, in fact of all the other disciples, dared to say that Jesus was the Son of God. On top of that, he had attempted to walk on water and for a short time had even managed it. His discipleship to that point had demonstrated gall and a fierce tenacity, no doubt. Even so, in a few gray moments before dawn, he found he was still fundamentally lacking and wrong…Peter couldn’t keep even one denial down his throat. 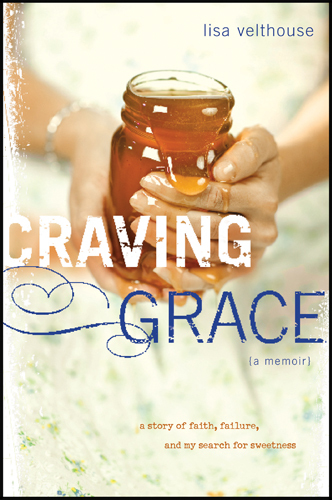 Overall this book was a pleasant read, though my over-all disappointment with the book is that it spent more space talking about life before her discovery of living in God’s grace and not much about what that discovery meant as she lived it out day-to-day. If you’re looking to read the journey one of your sisters in Christ makes as she discovers – truly discovers – God’s grace, this book is worth your time. Don’t look to it for any radical insights or revelations – but be careful as you read it, because you may find it is like looking into a mirror and seeing yourself. I’ll give it 3.5 stars. This is one of those rare books that has an absolutely ridiculous sounding name but is actually very good to read. In a Pit with a Lion on a Snowy Day is all about seeing your daily struggles as God-ordained opportunities to mature your own faith and grow His kingdom. The title is a reference to the Biblical character Benaiah, who is found in II Samuel 23:20-21. Benaiah (for those of us who have never heard of him) was a man who literally killed a lion in a pit on a snowy day – hence the name of the book. Batterson introduces his thesis by sharing the story of Benaiah and examining it in some detail. Then he sets out seven skills needed to properly view obstacles as God-ordained opportunities to thrive, spending a chapter examining each one: Overcoming adversity, Unlearning fears, embracing uncertainty, calculating risks, seizing opportunities, defying odds, and looking foolish. The irony of reading this book for me is that I’ve got a couple of challenges I’m facing now in my jobs, and just last week (before I even picked up the book!) I was sharing with Melissa that while the challenges seem to be great in many ways I also feel that God has placed these in my path for a specific reason. In short, I feel they are God-ordained opportunities for me to guide and help others while at the same time growing in my own faith. The only complaint I had about the book is that at times I felt like I was re-reading Soulprint because there were some sections that seemed as if they were verbatim from his previous book (which I reviewed). Batterson’s style is easy to read and enjoyable yet at the same time he raises some great points which require careful and deep consideration. I’m going to recommend reading this book if you need help seeing your every-day circumstances as God-ordained opportunities to grow in Him, giving it 4 out of 5 stars. One disclaimer, I received this book for free from WaterBrook Multnomah Publishing Group for this review, but am not required to post a complimentary review in exchange for it. Perhaps it was the fact that I read this book shortly after the death of Osama bin Laden, but I just couldn’t get in to it. While I am definitely on the conservative side of the political spectrum, I found this book to be just laborious to wade through. It’s not necessarily that I disagreed with everything that was being said, it’s just that it was not very interesting to read. The book serves in many ways as an expose on liberal policies in regards to the War on Terror, but I can’t say it contained anything I hadn’t read or heard about before (if not in specifics at least in generalities). It was overly predictable in its content. Beginning to read it shortly after the death of Osama bin Laden very well could have tainted my view of it, since they spent a good deal of time talking about him and in my mind I was thinking, “This is outdated since the man is dead.” I’ll give it 1.5/5 stars over all. If you want to read a book that falls into the category of “I can’t put this one down” then add Now I Walk on Death Row to your summer reading list. Wow! How do I summarize this one? It was, truly, one of those books that once I started to read it I couldn’t put it down. This is the true-life story of Dale Recinella, a Wall Street finance lawyer, who decides to ask the question, “Does Jesus really mean what he says?” The answer, he concludes, leads to a transformation in his life that can only be explained as miraculous. Over time he leaves his work as a finance lawyer and enters the full-time ministry (volunteer, ministry, I might add, not paid ministry) serving “the least of these”. Mr. Recinella begins by serving the homeless and down-and-out in the inner city where he lives, then transitions to serving AIDS patients, then works with men in prison, and eventually ends up as a volunteer chaplain ministering to the inmates on Florida’s death row. It is a remarkable journey – one that is a model of what it looks like to “walk by faith and not by sight”. This book at times made me laugh, cry, and even get angry – it was everything a good book should be. And to top it all off, it is a true story. Now I Walk on Death Row challenged me – and will most likely challenge you – to examine if you’re really taking Jesus at his word and if you are truly living the life God has called you to live. What was shocking (and humbling) as I read the story is not how bad life is for many people in this world, but how ignorant I am of the pain around me and how unwilling I can be to sacrifice my own self to share with them the good news of Jesus’ love. This book receives 5/5 stars. Note: I received this book free from the publisher as part of their blogger review program. I was not required to write a positive review of it. I am disclosing this to comply with FTC regulations. I have to say I was very excited to read this book. Ian Cron wrote a book I reviewed earlier in the year entitled Chasing Francis, and I enjoyed his style thoroughly – I even gave the book a good review. But the further I got into this book the more disappointed I became. Perhaps it was my expectation from the title, but with “Jesus” as the first word I thought Jesus would play a bigger role in the book. But I was sadly mistaken. The book focused on the life of Ian as he grew up with an alcoholic father. This is a story many people relate to and many books are written about, though what sets it apart for Ian is that his father works on-and-off for the CIA. But Jesus? He figures as a minor role in the story at best (let’s be honest – after reading the book I think his Nanny may have had a bigger influence on him that Christ), quite different than what I expected. The writing was whimsical and I found myself laughing so hard in spots I cried, and if I was reading just any old autobiography of any person who was not claiming to be a Christian and who didn’t include the word “Jesus” in the title I would have given this book 5/5 stars – it was that enjoyable to read. But I was looking for more spiritual insight, more discussion regarding how Ian found Christ and how that experience changed – neigh, transformed – his life. But what I experienced were some passing references to Christ. It gave me a greater understanding of what it must have been like to live with an alcoholic, spy father, but it in no way drew me closer to the cross. So, regrettably, I have to give this book only 1/5 stars. The Faithful Parent is advertised with the following synopsis: “Parents and children need help from the One who is perfect, who understands our need, and who can really help us-God himself. Because of that, the most important relationship in your family is your relationship with him. That’s the relationship The Faithful Parent emphasizes.” I’m not sure that’s what I came away with from the book. While the concept is certainly introduced at the beginning, I didn’t find it woven throughout quite as deeply as I was hoping for when I picked up the book. It does offer some advice about sharing the gospel with your children, but most of it is poorly developed for my taste. For example, the entire chapter on raising pre-schoolers is about 10 pages, and the one on teenagers is less than 20. The answers they give to most questions are good answers and solid answers, but not deep answers. In terms of discipline you need not bother reading the book at all if you are not an advocate of corporal because this book definitely is. Surprisingly, though, this book doesn’t seem to offer a defense, description of, or instruction in how to apply corporal punishment, it simply suggests it be used. This, in my opinion, is a huge omission – if you are not a supporter of corporal punishment this book will not convince you to use it (and you’ll find few, if any, alternatives in the book for dealing with discipline). Actually, the most valuable part of the book (and the only reason I gave it the ranking I did at the end) is found in the Appendixes. They are entitled, “Presenting the Gospel in Context: Faithfully Sowing the Seed According to the Scriptures”, “Put Off/Put On Dynamic”, “The Making of a Man of God”, and “Taking Thoughts Captive.” If you read nothing else in the book, these are worth the time it takes to read them. Over all, this book would make a good complement to Shepherding a Child’s Heart by Tedd Tripp (who happened to write the forward for this book), but I would recommend reading it AFTER the Tripp book because that will put some context in place. Over all, I’ll give it 3.5/5 stars.